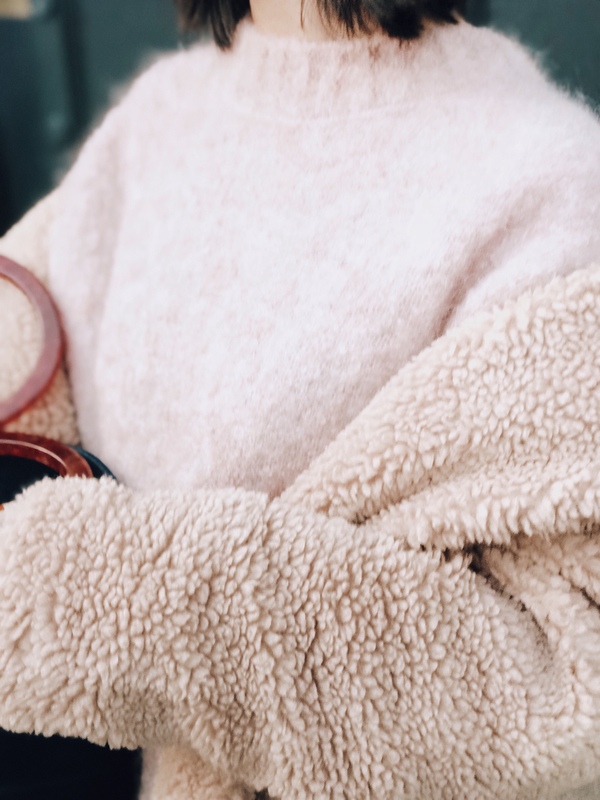 This time of year is my favourite, it’s when you can snuggle up and be at your most comfiest but that doesn’t mean you can’t still look chic right? 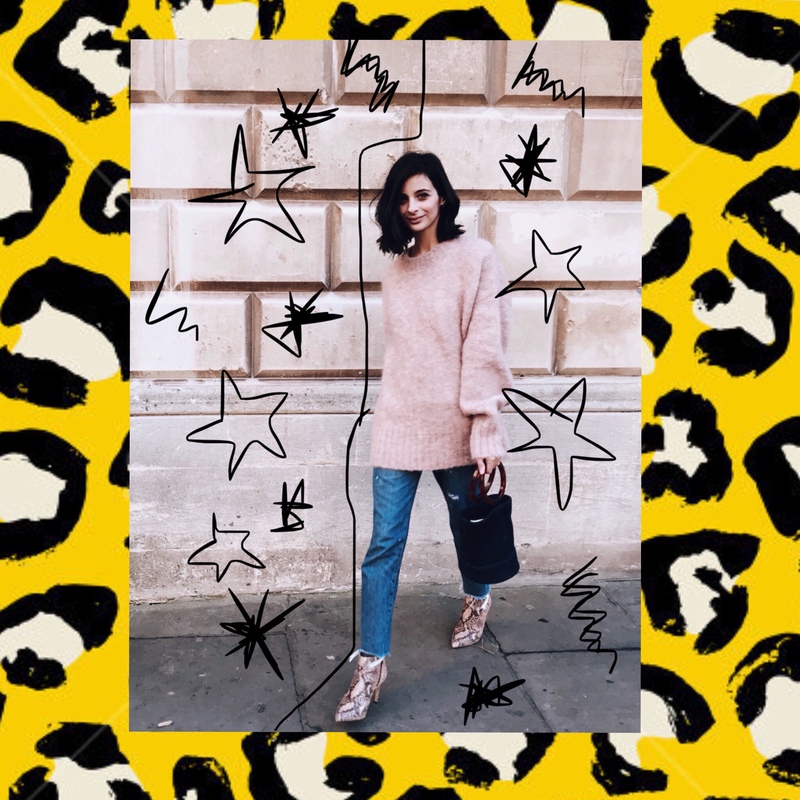 I’m talking super comfortable socks like I’m wearing here from Falke and this must have jumper which is now my go-to piece from Weekday Stores. 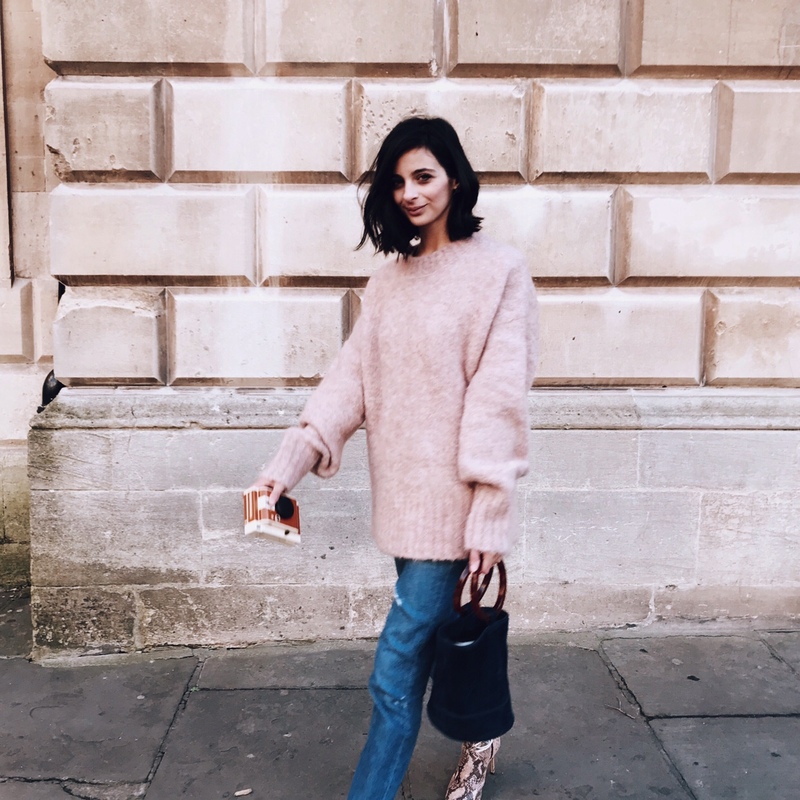 It’s oversized and baggy like you have just stolen it from your boyfriend and I can’t stop wearing it (literally, it’s been on repeat!). 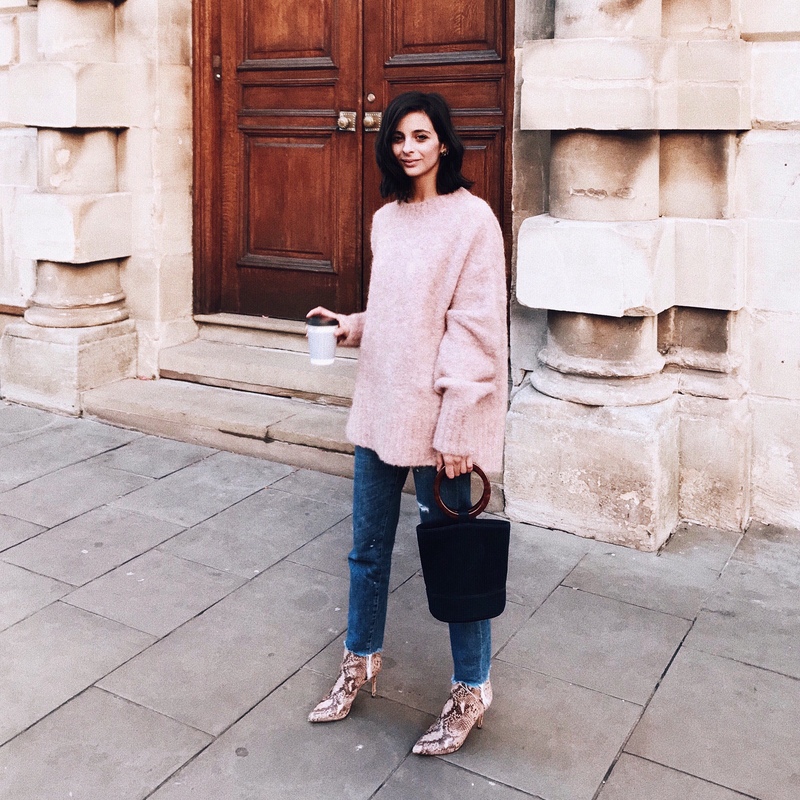 You may have seen this colour on me a lot , but I am obsessed with millennial pink. It’s not a new colour, in fact it’s a timeless pretty colour and super current that goes with anything you want. 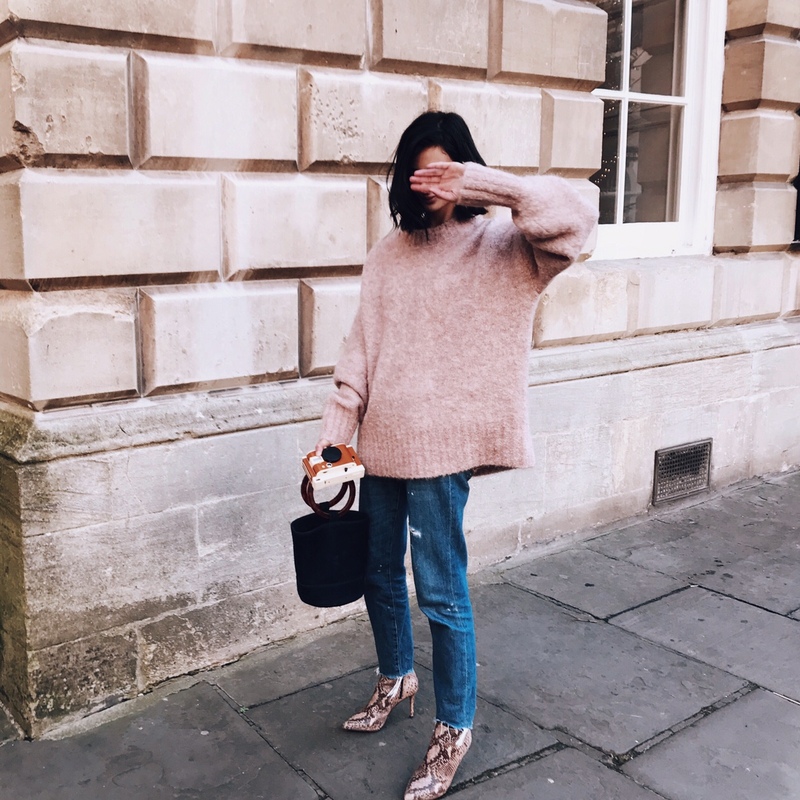 Millennial pink has become my favourite colour and there are so many great pieces out there in this colour for you guys to buy and this jumper (here and affordable here) is perfect for keeping you warm and cosy. 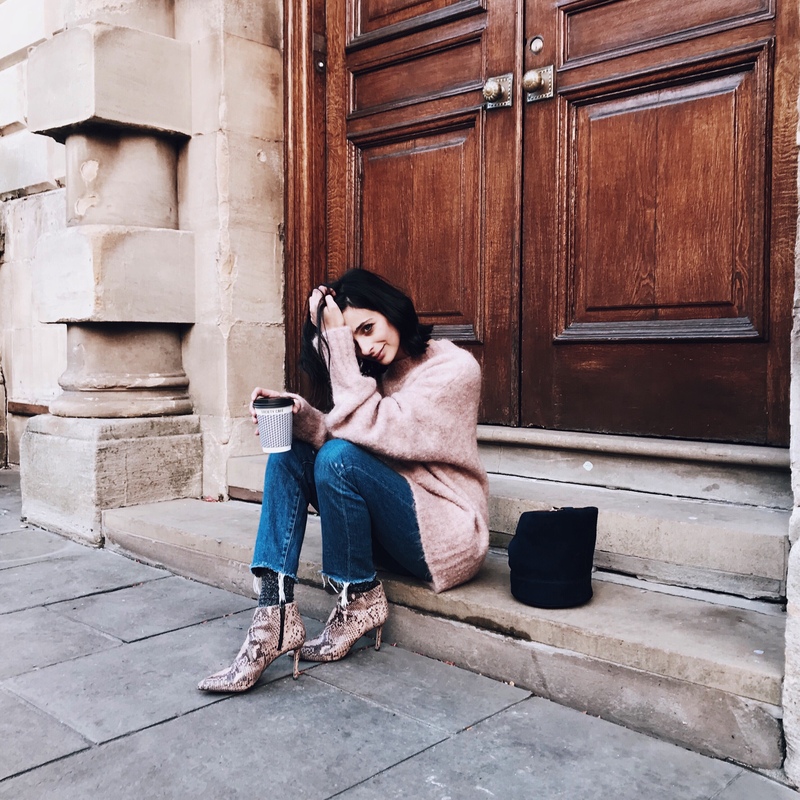 I’ve styled it with my 7 for All Mankind Jeans (here and similar here) and my python boots (here – and now in the sale!) to add a little edge to the outfit and it’s worked really well. 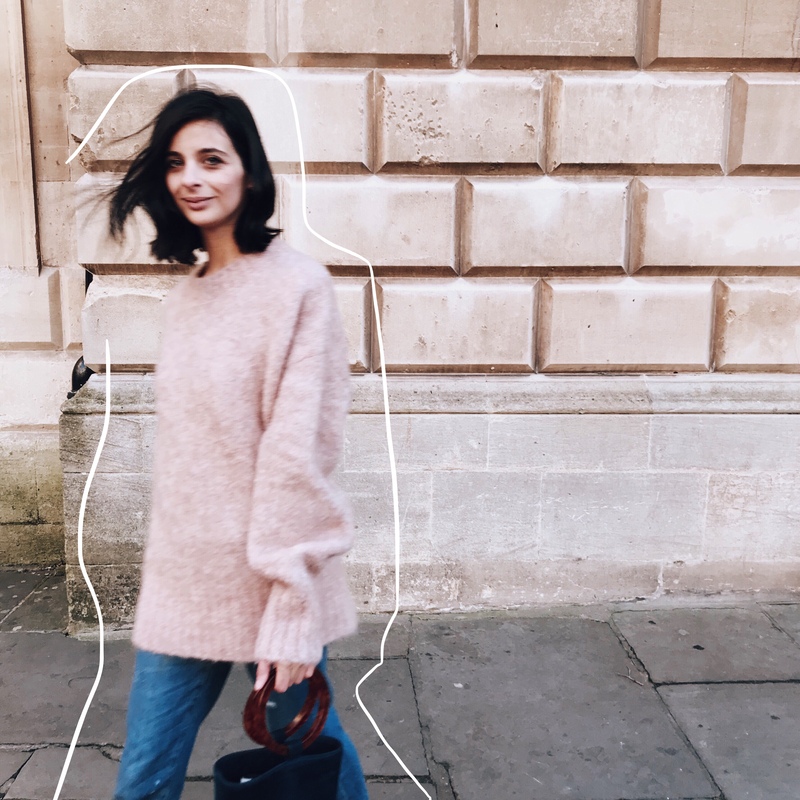 My Simon Miller Bag (here) from Net-A-Porter pulls the whole look together for the ultimate weekend casual attire you need for your wardrobes! 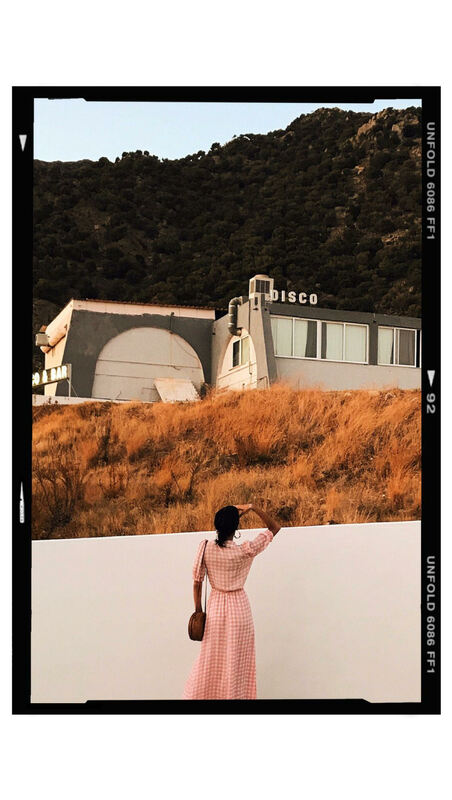 I’m trying out a new style of imagery and loving the new art prints I’m creating, and I’m super excited in the new creative direction I’m heading in. Drop me a comment as I would love to know what you think? New edit is on point, creative and functional it works really well. Love the look too! You look perfect in this casual look. 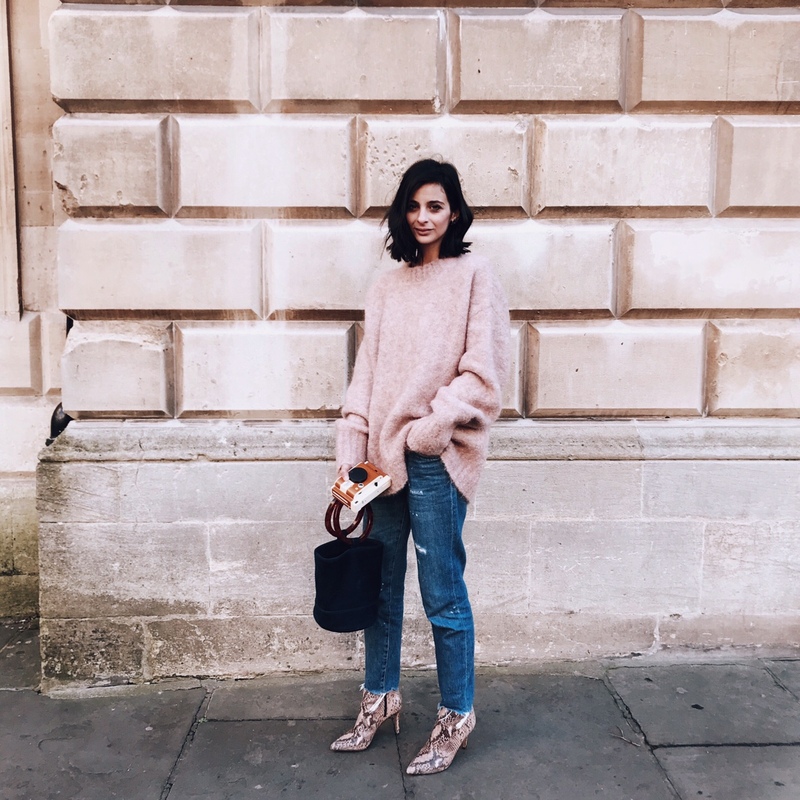 Nothing beats a good pair of jeans and a big baggy jumper. Simply effortless and not try too hard, just what I like.